What is Guillain-Barre Syndrome or GBS disease ? GBS disease or Guillain-Barre Syndrome is a disease of the nervous system due to damage to the myelin sheath around nerves. 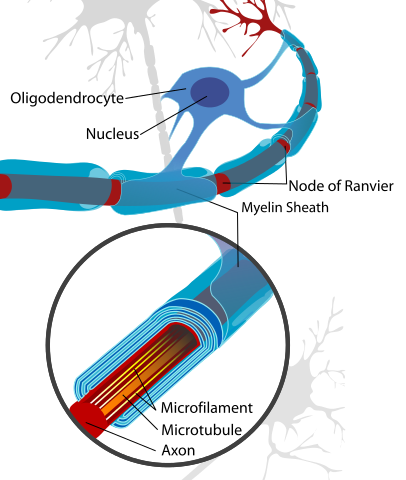 The myelin sheath acts as an insulator the same as rubber or plastic around electrical wires. Ascending paralysis, weakness beginning in the feet and hands and migrating towards the trunk, is the most typical symptom. It can cause life-threatening complications, particularly if the breathing muscles are affected or if there is dysfunction of the autonomic nervous system. The disease is usually triggered by an acute infection. In many cases it follows shortly after a virus infection. It is also rarely associated with immunizations, surgery, and childbirth. Acute inflammatory demyelinating polyneuropathy (AIDP)is the most common form of GBS, and the term is often used synonymously with GBS disease. It is caused by an auto-immune response directed against Schwann cell membranes. Miller Fisher syndrome (MFS) is a rare variant of GBS disease and manifests as a descending paralysis, proceeding in the reverse order of the more common form of GBS. It usually affects the eye muscles first and presents with the triad of ophthalmoplegia, ataxia, and areflexia. Anti-GQ1b antibodies are present in 90% of cases. Acute motor axonal neuropathy (AMAN), also known as Chinese paralytic syndrome, attacks motor nodes of Ranvier and is prevalent in China and Mexico. It is probably due to an auto-immune response directed against the axoplasm of peripheral nerves. The disease may be seasonal and recovery can be rapid. Anti-GD1a antibodies are present. Anti-GD3 antibodies are found more frequently in AMAN. Acute motor sensory axonal neuropathy (AMSAN) is similar to AMAN but also affects sensory nerves with severe axonal damage. Like AMAN, it is probably due to an auto-immune response directed against the axoplasm of peripheral nerves. Recovery is slow and often incomplete. Acute panautonomic neuropathy is the most rare variant of GBS disease, sometimes accompanied by encephalopathy. It is associated with a high mortality rate, owing to cardiovascular involvement, and associated dysrhythmias. Impaired sweating, lack of tear formation, photophobia, dryness of nasal and oral mucosa, itching and peeling of skin, nausea, dysphagia, constipation unrelieved by laxatives or alternating with diarrhea occur frequently in this patient group. Initial nonspecific symptoms of lethargy, fatigue, headache, and decreased initiative are followed by autonomic symptoms including orthostatic lightheadedness, blurring of vision, abdominal pain, diarrhea, dryness of eyes, and disturbed micturition. The most common symptoms at onset are related to orthostatic intolerance, as well as gastrointestinal and sudomotor dysfunction. Parasympathetic impairment (abdominal pain, vomiting, obstipation, ileus, urinary retention, dilated unreactive pupils, loss of accommodation) may also be observed. Bickerstaff's brainstem encephalitis (BBE), is a further variant of Guillain–Barré syndrome. It is characterized by acute onset of ophthalmoplegia, ataxia, disturbance of consciousness, hyperreflexia or Babinski's sign. The course of the disease can be monophasic or remitting-relapsing. Large, irregular hyperintense lesions located mainly in the brainstem, especially in the pons, midbrain and medulla are described in the literature. BBE despite severe initial presentation usually has a good prognosis. Magnetic resonance imaging (MRI) plays a critical role in the diagnosis of BBE. A considerable number of BBE patients have associated axonal Guillain–Barré syndrome, indicative that the two disorders are closely related and form a continuous spectrum. GBS disease is not contagious or hereditary, and the actual cause is unknown. However, about half of all cases are linked to follow a viral or bacterial infection such as, common cold, flu, viral hepatitis infectious mononucleosis. Symptoms of Guillain-Barre Syndrome include weakness, typically beginning in the legs and progressing upward. The weakness is accompanied by decreased feeling (paresthesia). Reflexes are lost, for example, the hammer to the front of the knee will not induce a kick. In severe cases breathing can be affected enough to require a ventilator and rarely the heart can be affected. The maximal degree of weakness usually occurs within the first 2-3 weeks. The diagnosis of GBS disease usually depends on findings such as rapid development of muscle paralysis, areflexia, absence of fever, and a likely inciting event. Cerebrospinal fluid analysis (through a lumbar spinal puncture) and electrodiagnostic tests of nerves and muscles (such as nerve conduction studies) are common tests ordered in the diagnosis of GBS. cerebrospinal fluid- Typical CSF findings include albumino-cytological dissociation. As opposed to infectious causes, this is an elevated protein level (100–1000 mg/dL), without an accompanying increased cell count pleocytosis. A sustained increased white blood cell count may indicate an alternative diagnosis such as infection. Electrodiagnostics- Electromyography (EMG) and nerve conduction study (NCS) may show prolonged distal latencies, conduction slowing, conduction block, and temporal dispersion of compound action potential in demyelinating cases. In primary axonal damage, the findings include reduced amplitude of the action potentials without conduction slowing. Electromyography (EMG) and nerve conduction study (NCS) may show prolonged distal latencies, conduction slowing, conduction block, and temporal dispersion of compound action potential in demyelinating cases. In primary axonal damage, the findings include reduced amplitude of the action potentials without conduction slowing. Progressive, relatively symmetrical weakness of two or more limbs due to neuropathy. Disorder course < 4 weeks. The majority of patients can expect a slow but progressive recovery over several months. In severe cases the primary concern is maintaining vital functions and passively exercising the muscles. This sometimes requires temporary artificial breathing machines for severely affected patients. Plasmapheresis (plasma exchange). Plasmapheresis cleans your blood of damaging antibodies. The procedure removes the liquid portion of your blood (plasma) and returns the red blood cells to your body. Over time, your body replaces the plasma that was removed. Intravenous immune globulin. A type of protein (immunoglobulin) contains healthy antibodies from blood donors. In this procedure, a doctor inserts an intravenous (IV) line into your vein and injects high doses of immunoglobulin. These doses help block the damaging antibodies in your blood that may contribute to GBS disease. Most of the time recovery starts after 4th week from the onset of the disease. Approximately 80% of patients have a complete recovery within a few months to a year, although minor findings may persist, such as areflexia. About 5–10% recover with severe disability, with most of such cases involving severe proximal motor and sensory axonal damage with inability of axonal regeneration. However, this is a grave disease and despite all improvements in treatment and supportive care, the death rate among patients with this disease is still about 2–3% even in the best intensive care units. Worldwide, the death rate runs slightly higher (4%), mostly from a lack of availability of life support equipment during the lengthy plateau lasting 4 to 6 weeks, and in some cases up to 1 year, when a ventilator is needed in the worst cases. About 5–10% of patients have one or more late relapses, in which case they are then classified as having chronic inflammatory demyelinating polyneuropathy (CIDP). Although most people recover from GBS disease, the length of your illness is unpredictable, and may require months of hospital care and rehabilitation. As nerve function returns, patient may need assistance to learn how to use affected muscles. 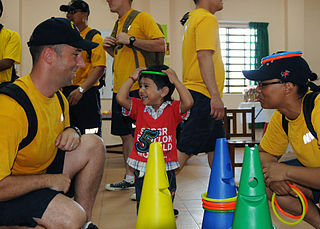 Rehabilitation may include several types of therapy. Physical therapy. Physical therapy stimulates muscles and joints to rebuild strength, flexibility and range of motion. Occupational therapy. Occupational therapy focuses on activities to help patient be as self-sufficient as possible in daily life. Assistive devices. patient may need to learn to use assistive devices, such as leg or arm braces, canes, walkers and wheelchairs to aid mobility during recovery or, if GBS causes permanent disabilities, for long-term use. Regain patient's independence with everyday tasks. Retrain normal movement patterns by teaching patient how to achieve activities in different ways. Muscle strength training, exercising as often as possible in the correct way. Stretch tight muscles and prevent soft tissue contractures. Improve patient's posture in lying, sitting and standing and sleeping. Increase fitness and energy levels. educate about GBS disease and symptoms. In the acute phase a large part of physio is for respiratory care. If it affects the intercostal muscle - the onebetween the ribs that lifts up the ribs as we take a breath. Equally if the diaphragm is affected - the part of the body between the abdomen and the chest - patient have the inability to take a large breath. So in acute phase regular breathing exercises are necessary. So then the first part of the rehabilitation phase begins. When we start to get patients moving we have to keep in mind the physiotherapy must be graduated. We realize the patients can fatigue quite quickly and so we try to build up the strength very gradually, deliberately providing a little more demand each time in exercising the respiratory muscles. The positioning of the patient is vital. He/she needs to be nursed so that the lungs are kept clear - from side to side and if need be to be "jacked up" with the head down so allowing any secretion in the lungs to be drained out. If muscles are kept in a shortened position long enough then there is an increase in the stiffness of the muscle. So there should be "passive" movements, ie aided - through the full range at least once a day. If there is too much movement with weak muscles around a joint, the joint can become quite loose and set up later some pain. Too little movement and you end up with a stiff joint. You can have muscle stiffness and then joint stiffness. This again can become quite painful. There are available Resting Splints for wrist/hands and for ankles which can be important in the early stages. Tight calf muscles can later on make it more difficult for one to walk, particularly upstairs and downstairs and even on a slight slope. You get too tired. The important feature at the next phase when patient gets out of bed is that his/her circulation is quite dependent on the muscles in the body. There will be swelling in the ankles and hands if one doesn't move around much. So a patient's blood pressure is monitored at this stage to check there is no sudden drop. Such patients wear elastic stockings to push the blood back to the heart and also to prevent blood clots. If the blood sits in the legs there is more potential for clotting. Some patients with weak abdominal muscles may need abdominal corsets. Once the patient is getting up the whole effect of what gravity has on the joints becomes important. The shoulder joint particularly relies on its muscles around it. He/she may need the arms supported in the early stages of sitting up and walking. It is important to get good seating. If necessary one can make do with a cushion, towel or pillow to support the lumbar spine. Prolonged sitting with a curved spine can lead to small damage to the joints in your upper spine, producing backache. It is similarly important to support the middle and top of the spine as well as the arms. Stretching the arms including the hands, legs including the feet, body (particularly by slumping), helps to rehabilitate not only the peripheral muscles but also, we believe, the associated nerves. This is important for GBS and CIDP patients suffering from nerve damage. One has to be careful not to overstretch. Functional tasks of daily living that involve exercise tend to be beneficial. These tasks include walking, repeated sitting to standing, rolling over and moving up and down in bed, putting on and taking off clothes. These tasks help to restore the patient to normal living. Hydrotherapy is fantastic as patient can float; so their weight is supported and also they can exercise against the graded resistance of the water - the faster they move the harder it is, the slower the more gentle. It does not suit everyone - some find the heat too much. It is important to watch the posture as muscle weakness can affect it. It is often the physio's role to nag and give patient advice about posture. The patient may need balance retraining because we know the ankles are important for balance. The patient may find the hips have to be moved to keep the balance. As patient progress then we begin some training in advanced skills of walking up and down slopes and stairs. As an ongoing practice it is important to have regular exercises to keep stretching muscles that may be at risk of tightening up - calf muscles, hamstrings, arm muscles. Hydrotherapy, walking, exercise bikes or anything that can get patient's heart rate up are important for ensuring that your cardiovascular and general fitness are in good condition.